The top 10 most downloaded movies on BitTorrent are in again. ‘Spider-Man: Into the Spider-Verse’ tops the chart this week, followed by ‘Fantastic Beasts: The Crimes of Grindelwald’. ‘Ralph Breaks the Internet’ completes the top three. This week we have three newcomers in our chart. 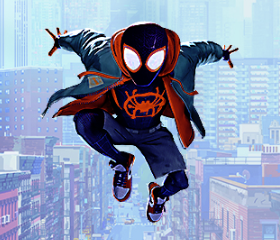 Spider-Man: Into the Spider-Verse is the most downloaded movie. RSS feed for the articles of the recent weekly movie download charts.